IEM system integration ensures that all elements of the UPS system, including Rotabloc units, switchgear or other power distribution equipment and your choice of of back-up power, operate as a single unit to protect your critical loads. Integration brings together all the elements of an effective UPS system. IEMPS provide full systems integration as part of our own Rotabloc UPS System, ensuring that the components operate as a single unified system to protect your critical and essential loads. Additionally, with IEMPS expertly providing the system integration, you have surety of high quality supply and a known budget. We have seen incidences of where the System Integration has been ignored during the bid stages only to be identified as a further task later in the project; impacting project delivery times and budget. 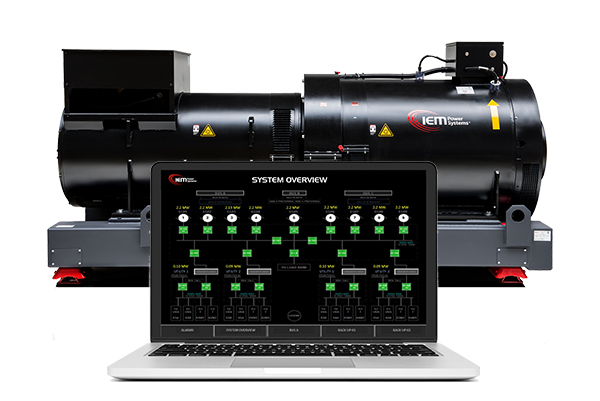 IEM Power Systems can integrate a range of user-specified equipment including diesels and a range of Rotary UPS units. IEM Power Systems is the only UPS manufacturer that can build, integrate and test your system in the factory as standard. © 2017 Industrial Electric Mfg, All Rights Reserved.